Good suggestions on handling techniques. 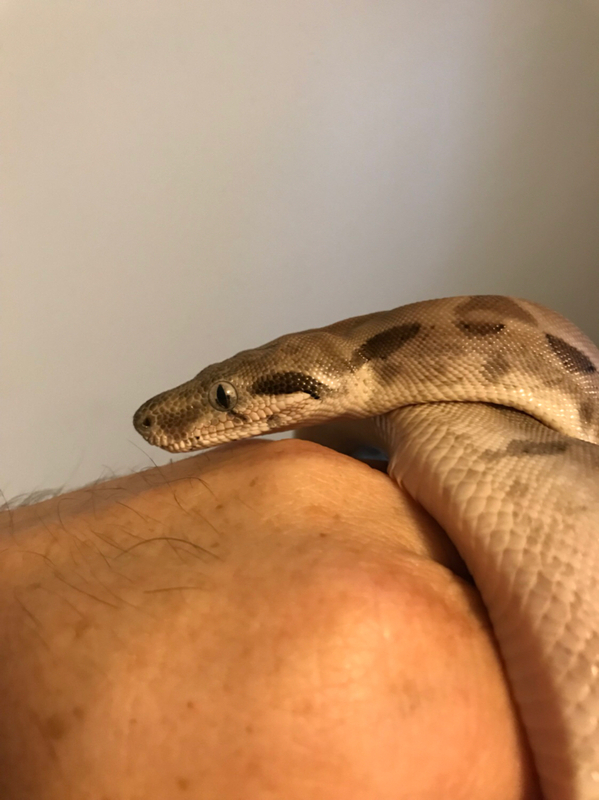 My BP is so docile and lethargic which makes him easy to handle but the BOA is very inquisitive and likes to move about so I often find myself trying to determine which end I should be trying to support. Sometimes he gets a really good anchor with his tail and other times I'm worried that he might slip off my arm. I guess this will come w/ experience. Understandable, it’s best to be low-profile with newcomers. I do generally feed smaller meals, but he’ll probably grow into the mice quick even if they’re a tad large, there isn’t a huge difference between hoppers and small mice. 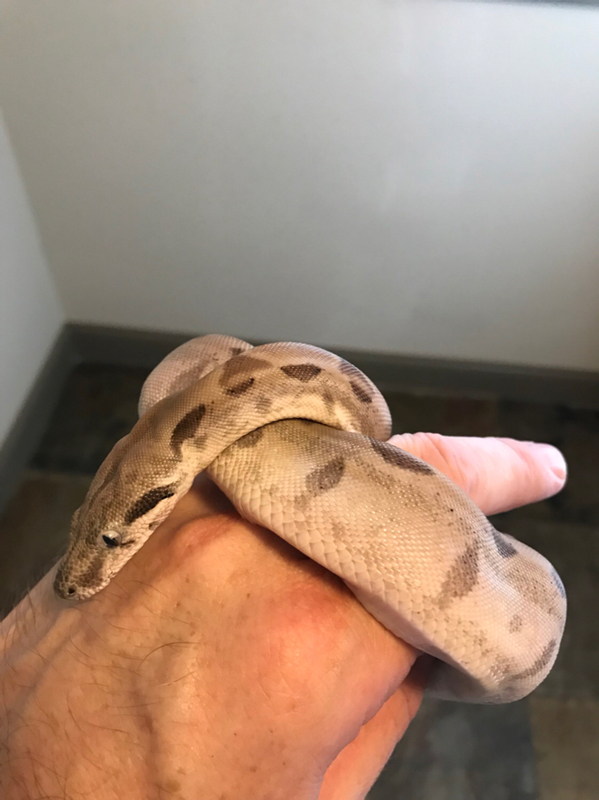 Unfortunately, boas will get to whatever size they’re meant to. Lol Small snakes will stay small, large ones will get large, though it may take longer if you feed less. Being male, you *most likely* won’t have an overly large snake. They’re definitely much different, usually the tail is a good bet, but they’ll use pretty much any part of their body. Just follow their body movements and trust their intuition. If they actually start to slip, I’d catch them, but most are really good at it so long as their whole body is supported as much as possible. So I had an odd feeding experience with Phantom tonight. 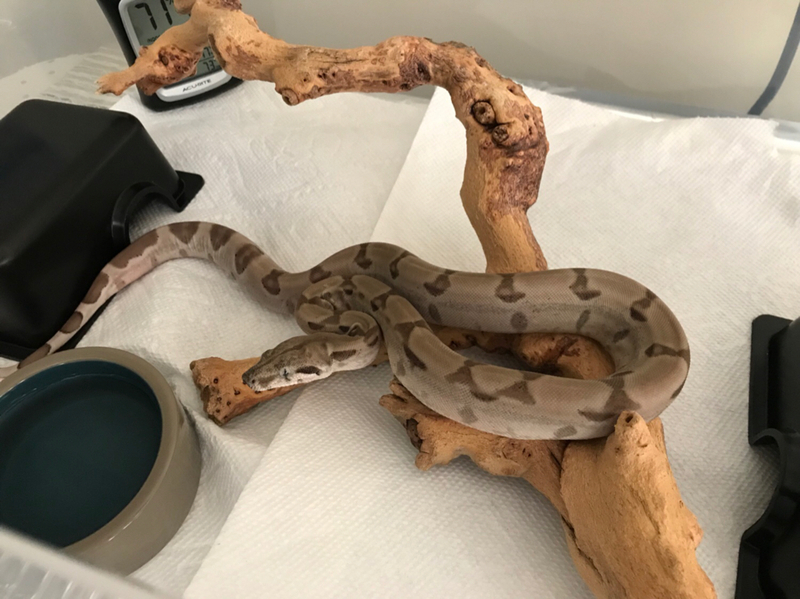 He’s been an excellent eater, always reacting and striking the mouse seconds after presenting it to him. Tonight was a little bit different. He remained in his hide during the food presentation. I could see the side of his body from the opening of the hide so I assumed his head might be tucked in the back. 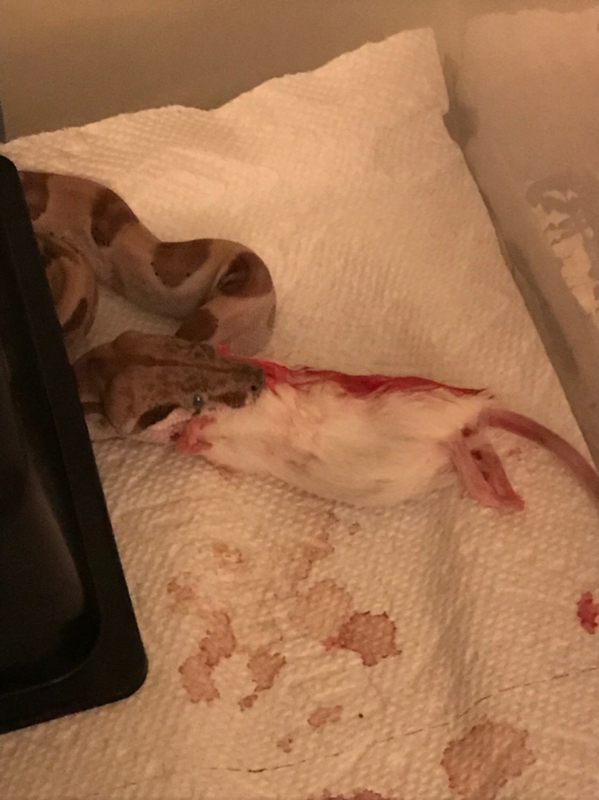 Probably a no no but I decided to lift up the hide and present the food (something I learned not to do with my BP but those are two different animals with entirely different feeding responses). He never struck at the prey but followed it up and down the walls of his tub. He then proceeded to gently open his mouth and take the prey. When I tried to lay the hide back down, it startled him a little bit and he dropped the prey from his mouth. I then had to go through the same process and he gently grabbed it again. Here’s a picture after the 2nd grab. 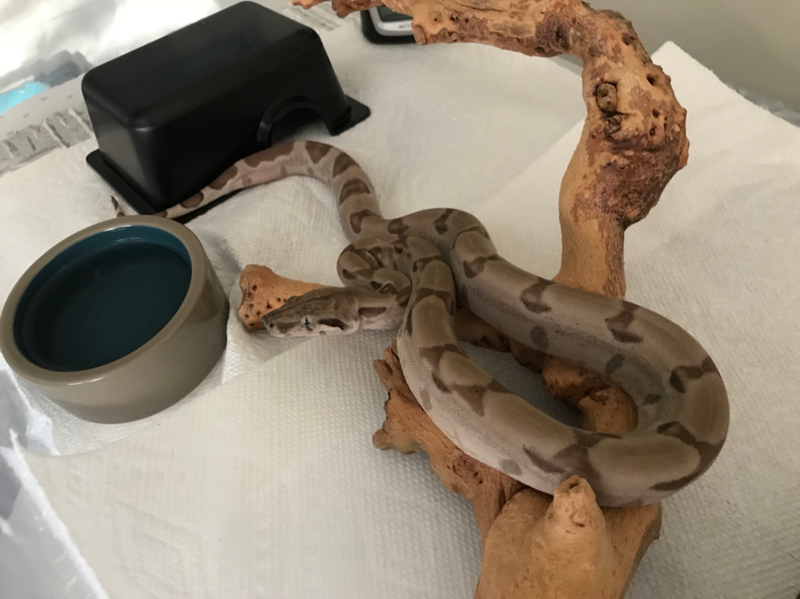 Has anyone witnessed this feeding response before? My 1st thought was maybe he was going into shed since he hasn’t shed since he arrived 6-7 weeks ago but I haven’t noticed any signs. Are temps the same? Humidity dead on? How often are feeding again? When was the last time you handled him? I don’t foresee the temps being any different because nothing has changed. I haven’t taken any floor temps recently but I will see the temp gauge inside the cage stays fairly consistent. Humidity is reading in the low to mid 70s. I feed an adult mouse every 7-9 days. He’s had I believe two poops since I got him. I cut back my handling to every other day outside of the feeding window. Held him yesterday and he was very docile. If room temps have changed, tank temps can as well. I've had to adjust my thermostats slightly here in CT the past week as temps dropped from the 90's to the high 60's. House temp dropped a few degrees and fast. Try to make a habit of checking enclosure floor temps daily or every other day. Very important to check before a meal to ensure they are not too hot or too cool so Phantom can digest properly. He could also be having an off day. Also, weather can affect their mood and feed response. Any bad weather coming through? I've left the prey item in there for my BCI, Behira, before and she ate it. Now that she's totally settled, it's hard to get it in the darn tank before she strikes! As you mentioned, lifting the hide is generally a no-no. Especially for shy snakes like young animals and BP's in general. My corns could care less, but in general, I try to avoid it with all my snakes. 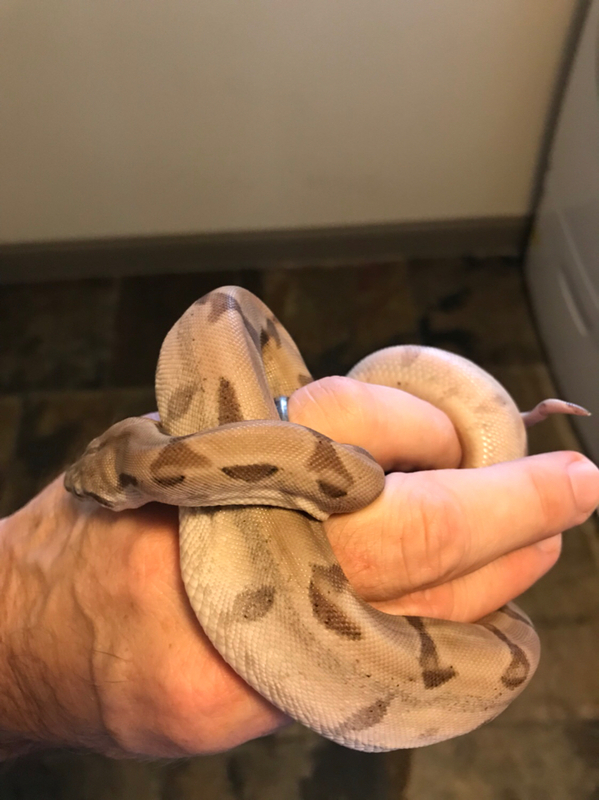 My boa and BP’s typically strike and wrap just like the prey is still alive, even though I’ve been feeding f/t for years. However my female corn does exactly what you’ve described. She gently takes the prey and starts eating. One of my other corns will not strike from the hemastats, but will pick the prey up from the floor and starts swallowing. My male corn is 50/50, sometimes he strikes and constricts and sometimes just gently takes it and starts swallowing.